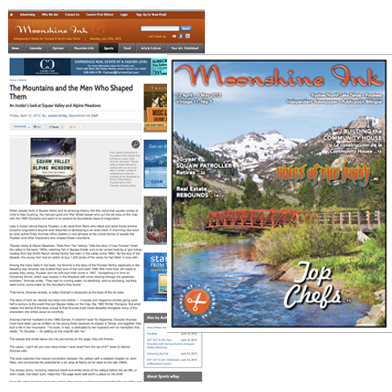 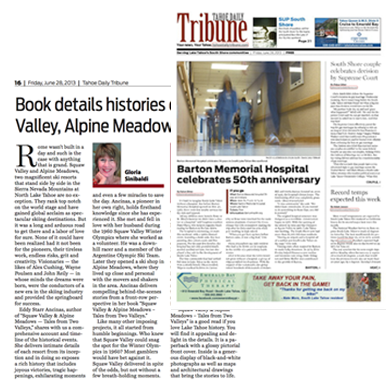 Squaw Valley and Alpine Meadows skiers will delight in reading the familiar and not-so-familiar accounts of how these two leading Sierra resorts got started. 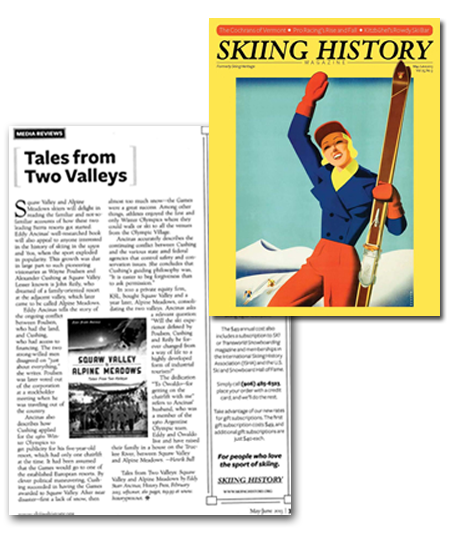 Eddy Ancinas’ well-researched book will also appeal to anyone interested in the history of skiing in the 1950s and ’60s, when the sport exploded in popularity. 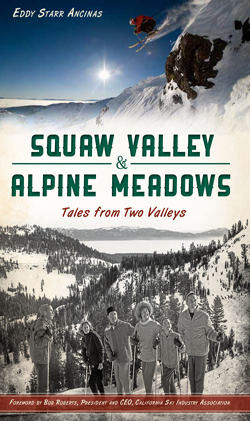 From deadly avalanches to the politics of the people who built the ski areas, Eddy Ancinas’ new book, “Squaw Valley & Alpine Meadows,” unfolds with one-of-a-kind tales…what makes this telling of the tales unique is that Ancinas lived those decades alongside many of the characters she writes about so colorfully.